Balola Sopot - Kosmetologi, Fizjoterapeuty, Kosmetyczki. Balola was founded in response to cater for demanding women. Our business originated from the need to find effective cosmetological solutions for women on the go. We are fully aware that you expect results immediately and not at the end of a series of treatments. That is why we have invested in the highest quality salon equipment and use only the best dermatology products. 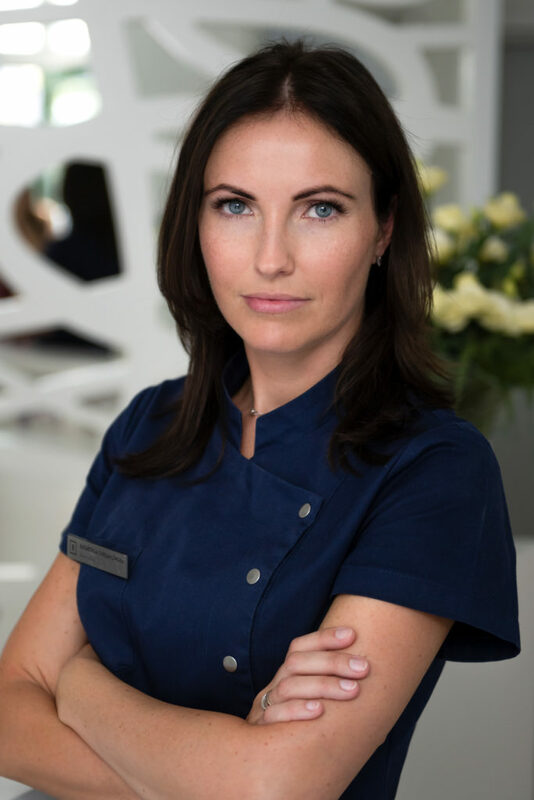 The state-of-the-art technologies used in our salon guarantee satisfaction and the commitment of our team of qualified cosmetologists demonstrates that professionalism can go hand in hand with passion. Come and visit us and let us make you feel beautiful! For several years I have been developing my skills by gaining experience as a beauty industry manager. My adventure with cosmetology started when I was working at the reception desk. Although I am not the author of the metamorphoses of our clients, the moment they leave the office with a wide smile, relief after dealing with often long-standing problems and pain, always gives me the injection of positive energy, which I happily convey to others. I’m relaxing by cooking, and the smell of freshly baked cakes always reminds me my home. I spend evenings with a good book by reading the inspirational biographies and works of Oriana Fallaci, who I treat as a female role model with passion and character. She also combines my love to literature with the admiration of Italy. I am a graduate of the Higher School of Management in Gdańsk, specialisation in cosmetology. I have also completed numerous trainings in the field of hand care as well as cosmetic and medicinal pedicure. 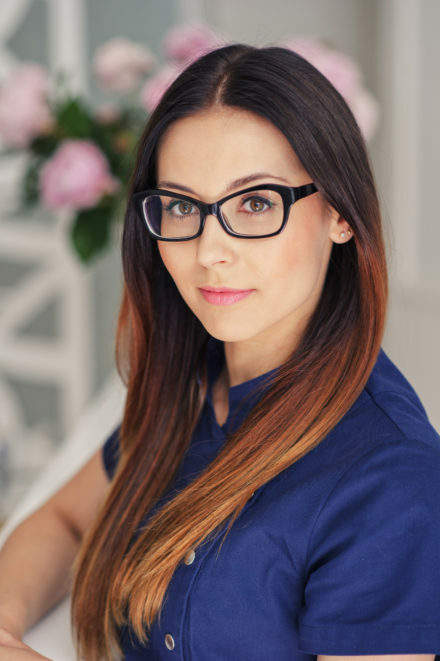 I take my work seriously, so in addition to the high quality of service, I try to ensure a nice atmosphere so that people using the treatment feel comfortable. I will gladly take care of your feet and hands :) You are kindly welcome to come! I am an artistic soul, a tireless optimist, a perfectionist and an aesthete. My need for constant development and search for new cosmetic solutions led me to Balola. I always say that, in this day and age, standing still is like going backwards. The most rewarding part of my work is the moment when a smile appears on a client’s face brought about by the end effect of their treatment. There is no better compliment or reward to my work than when a client feels self-confident or overcomes complexes connected with their looks. I am a Cosmetologist, Biotechnologist and a make-up artist. I am proud to say that I fulfil myself professionally every day. I treat every client individually and devote additional time to education because treatment itself is not enough. For the effect to be long-lasting, appropriate everyday care at home is essential. Cooperation between myself and my clients is therefore the key to success. My profession is also my passion. I allow my artistic side to thrive through working as a make-up artist, including work on photo shoots and commercial and artistic projects. Coco Chanel used to say that “there are no ugly women, just unkempt ones”. And although this quote may sound controversial to some, I believe that there is some truth behind it. Visit me at Balola and let us make the best of you. My name is Kasia. I am the mother of two wonderful children and I am married to a great guy. I am a cosmetologist by profession. 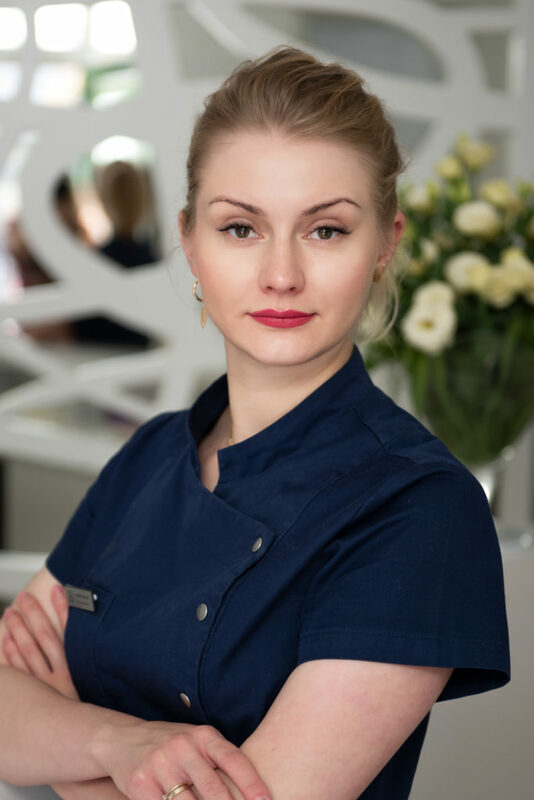 I could tell you that I graduated from the School of Healthcare and Beauty in Poznań and that my professional dreams came true when I began my adventure with cosmetology immediately after finishing the school but I think that for my clients it is more important that I always declare with great enthusiasm that I really love what I do. I treat my work as a challenge and I put all my heart and soul into every treatment I perform. Many people think that I am a particularly ambitious and creative person – this is not for me to judge. New challenges motivate me and I am happy to treat even the most difficult of skin problems and to constantly look for new methods. If this could be considered proof of ambition, then ambitious is exactly what I am! Each of my clients presents new challenges, which I face with full commitment. To achieve the ideal effect, I often cooperate with doctors, which allows me to help even the most difficult cases. The fact that I am also a wife and a mother helps me to understand all the problems of young women; new mothers for example, who enjoy motherhood on one hand, but on the other they cannot and will not accept the changes in their appearance after childbirth. I also realise that each one of us needs some time to ourselves, to enjoy a bit of luxury, to pamper our bodies and bring out the beauty that has been lost somewhere in the flurry of daily duties and activities. A woman pleased with her looks is a happy mother and wife. Since beginning my professional career, I’ve always had one other small passion: semi-permanent make-up. It is a treatment I do frequently and I highlight the natural beauty of my client and make her feel special and confident every time. It is no secret that I invest a lot of myself into my work but I get almost as much in return. Meetings with my clients are always exciting. I enjoy the interesting conversations, exchanging experiences and listening to their family stories. But what I like most is when our meetings become more frequent, because returning happy clients are the biggest reward and constitute a great source of satisfaction as well as motivation for further development. The founder of Balola. An active and demanding woman and a loving mother of three. Having experienced her first wrinkles, she started a quest for advanced cosmetic solutions. 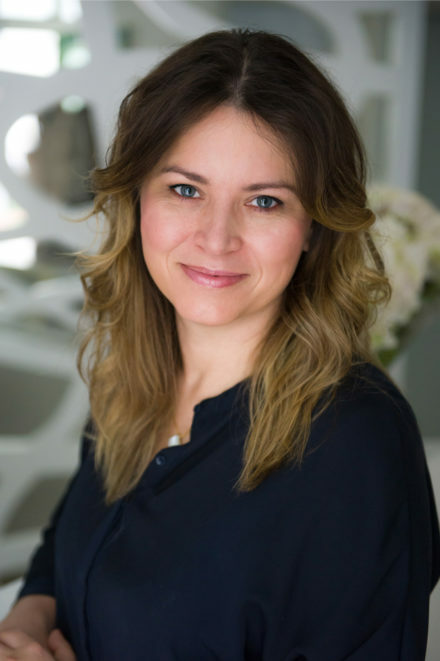 Her pursuit gave rise to the idea of Balola, a place where a team of understanding and committed experts offers optimal treatments based on personal consultations with every client. A satisfied user of all the products and facilities at Balola. Ambitious, concrete and precise. Those are the traits I particularly cherish in my daily life and professional practice. Cosmetology has been my passion ever since I can remember. It is a field I know well. 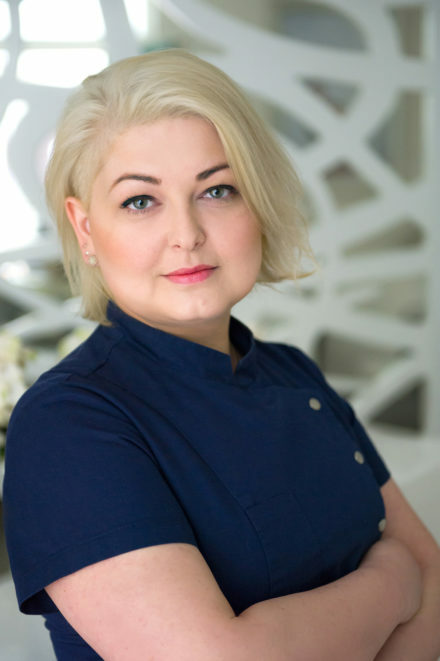 I graduated from Poznań Medical University and my studies provided me with the valuable experience of working with renowned practitioners from related fields such as dermatology and plastic surgery. I don’t like repeating the boring old patterns, either in my personal life or in cosmetology. I always try to look for innovative solutions to the problems I encounter in my professional practice. I like combining various forms of salon skincare and quality beauty products to provide individual and personalized treatments for each of my clients. I believe that one compliments the other. No beauty product will substitute professional 21st century technologies. No technology will substitute a good beauty product. Our skin is constantly changing, so it is important to properly recognise its needs. Then we find the most suitable treatment strategy. In agreement with my client and the options available, I always strive for complete solutions. I believe that the measure of the quality of treatments performed by cosmetologists is their effectiveness. It gives me great satisfaction and strength when I see the results of my treatments and the happiness they bring to my clients. Our appearance is our calling card. However, we have to bear in mind that our appearance must be constantly cared for. Every one of us is different and special and has individual skincare needs! I believe that a few just minor cosmetic treatments can awaken a huge potential and self-assurance in every woman. In my private life, I can’t imagine life without a bit of greenery and the sight of white sailboats! I come from Masurian lake district, so that really explains it all. I love travelling and my favourite place for rest and relaxation is in the beautiful city of Rome. I admire the calm of the people living there and the fact that they always have time for everything. Italian cuisine reigns in my kitchen. In fashion, I like simple tailoring and sporty elegance. I am also a passionate reader. I have several pairs of glasses with which I cannot part. When I have some free time, I go running. I love everything sweet and chocolatey. I love my work; it has been my passion and my way of life for the past 10 years. I graduated from the Medical University in Gdańsk and the Medical University in Łódź and also participated in many professional courses in Poland and abroad. 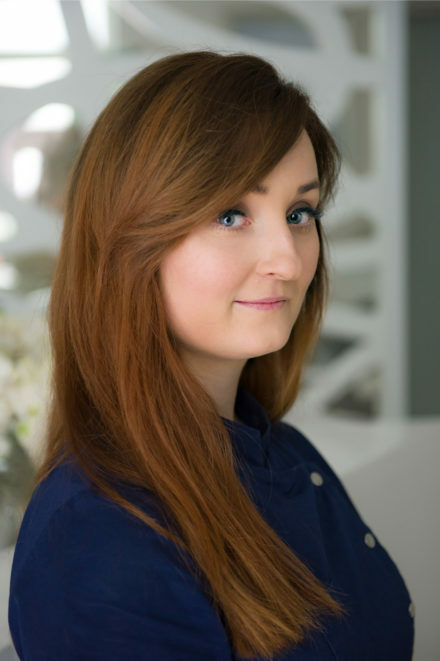 I am a passionate spa therapist with a thorough education and experience to support my role. I am active, hugely committed, with a lot of positive energy. 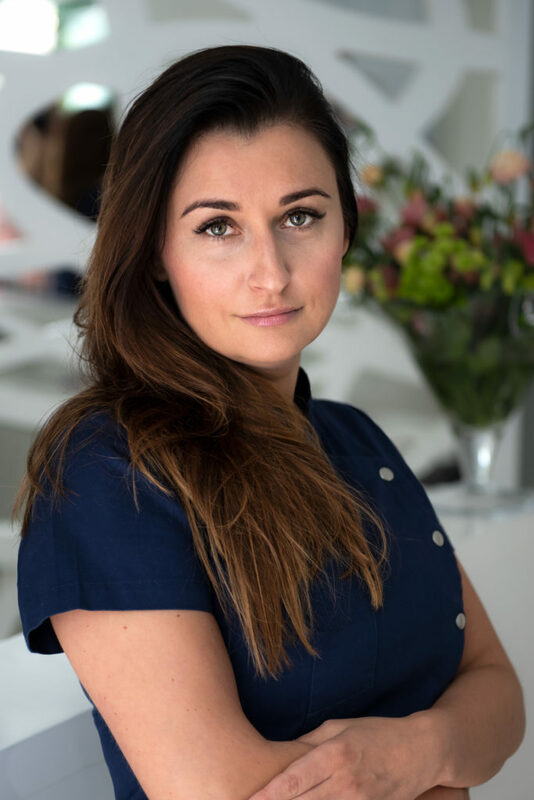 I am personable and warm and fulfil all my client’s needs by providing a range of physiotherapy, bio-regeneration, massage, whole-body and facial treatments. I approach my work holistically. I draw a lot of satisfaction from the sight of clients’ smiling faces and I love helping them to realise their assets. And privately? I cook, sing and sail.